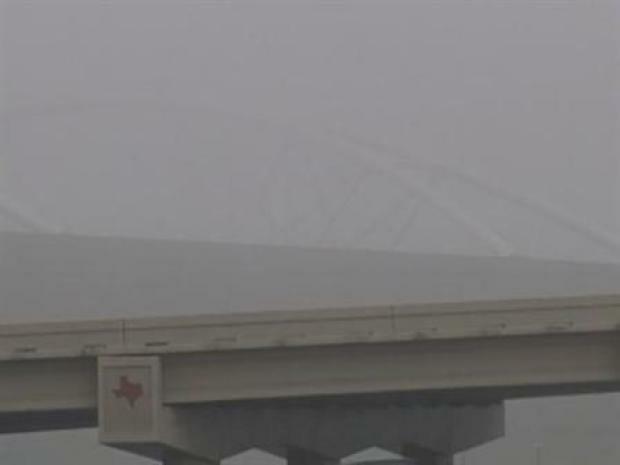 A thick fog lingered over North Texas for much of the day Thursday. Warmer temperatures kept the roads clear of ice, but drivers were slowed slick streets and fog. "You can't see what's in front of you. I noticed that on the highway this morning. Someone could be stopped in front of you and you don't know it. It's more dangerous," said Dallas driver Rebecca Rodriguez. Sunshine is expected to return Friday before another cold front brings arctic air into the area and the coldest weather of the season. A thick fog lingered over North Texas for much of Thursday. "It's Texas. The weather is like that. It changes from minute to minute," said Arboyza Mitchell, a native Texan. The cold front expected to arrive Saturday is not expected to bring snow or freezing rain.